Experience the magic of splendid Rajasthan- beautiful temples, culture, sand dunes, emerald beauty through our romantic Rajasthan tour packages. At India Reisebuero Pvt. Ltd., we are a team of talented travel professionals, who work together and organize budget and luxury Rajasthan tour including all the major tourist locations of Udaipur and Mount Abu. Our provided tour packages are inclusive of stay, transportation, dinning, sight seeing, etc. We are based in Delhi, India and we can assist you in planning your itineraries to witness the cultural heritage and vibrant culture of Rajasthan. 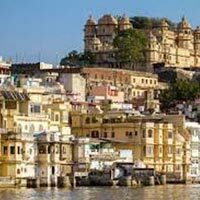 Besides, we book romantic Rajasthan tour packages/ Rajasthan honeymoon tour packages in advance or urgent basis. Arrive in Udaipur, one of the best and most romantic cities in Rajasthan and India. Upon arrival at Udaipur Airport, our representative will greet and drive you to Mount Abu. Mount Abu is a beautiful hill station in the state of Rajasthan. It is the only hill station in the state and known for cool climate, historical monuments and beautiful sights. It is very popular among honeymooning couples. On arrival in Mount Abu, check-in at a pre-booked hotel. Spend rest of the day at leisure. Dinner and overnight stay will be at the hotel. Have a very hearty breakfast at the hotel. Later proceed for sightseeing tour of Mount Abu covering major places like Dilwara Jain Temple, Brahmakumari Peace University, Nakki Lake, Guru Sikar, Sunset Point, etc. Enjoy boat ride on the picturesque Nakki Lake with your love partner. Enjoy photo taking sessions at beautiful spots. On time return to hotel for dinner and overnight stay. Take your breakfast at the hotel. Later drive to Udaipur –the City of Lakes and Palaces. Udaipur is a beautiful city in Rajasthan and considered to be one of the most romantic cities in India. On arrival in Udaipur, check-in to a pre-arranged hotel. Spend rest of the day at leisure. Dinner and overnight stay will be at the hotel. Have very hearty breakfast at the hotel. 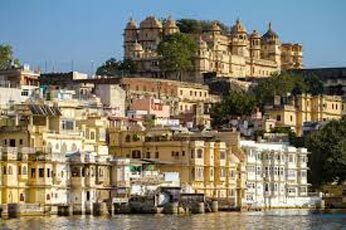 Later embark on sightseeing tour of Udaipur city. Major attractions to see include City Palace, Jagdish Temple, Jagmandir Palace, Lake Palace, Lake Pichola, Vintage Car Collection, Eklingji Temple, Saheliyon-Ki-Bari, etc. Enjoy boat ride on Pichola Lake during evening time. On time return to the hotel for dinner and overnight stay.